There are two categories of kitchen taps; wall mounted and bench mounted. Tap 1. $258.76 plus GST installed. Methven AWA sink tap. This is a modern replacement for the old standard taps. physically wear out and in those situations updating is required. Servicing of these taps could be carried out easily within our minimum charge fee. Tap 2. $339.47 plus GST installed. Methven AWA sink faucet. This is a modern replacement for an old faucet. Replacement of wall mounted tap ware is easy and inexpensive depending on your requirements. Check our pricing. 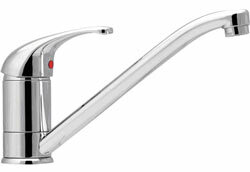 The cost to update the old style faucet to the lever action type is from $479.00 plus GST. Echo Mains pressure entry level sink mixer replacement. $225.00 plus GST installed. The other type of tap arrangement is the bench mount lever action sink faucet. This has been the standard sink tap arrangement for the past 10 years. They are ceramic disc and in a lot of cases finding parts is difficult unless it is one of the more common brands such as Methven, Greens, Grohe, Ideal Standard or Hansa. Even with some of these brands the cost of a replacement ceramic cartridge is approaching the cost of a new tap. There are so many cheap options on the market, but choosing one of these is always a bad decision. Parts are either not available or they may be available but nobody can tell you what the brand is, including your Plumber. They have no markings on them and you are left with having to replace the tap even if it is only a couple of years old. Quality is still available at a reasonable price, they carry good guarantees and these taps have a good service agent network to guarantee warranties are upheld. Centique sink mixer (suitable for unequal pressure plumbing systems). $267.89 plus GST installed. 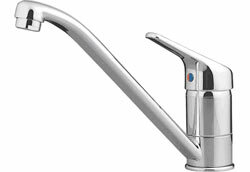 Let us supply you with a tap or buy one from a recognised plumbing merchant such as Mico or Plumbing World. 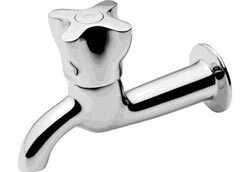 If you have a bench mounted lever action sink tap and it is leaking there are a couple of options, if it is a recognised brand. You can check the cost of a cartridge against the cost of a quality replacement tap, remember you get a new warrantee with a new tap, you get nothing with a new cartridge and yet you spend a similar amount. If it is a non branded lever tap you may find it cheaper to replace the tap with something that has history as by the time a plumber calls out to identify the tap and sources parts, you will exceed the cost of a good quality replacement. 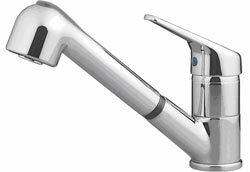 Centique sink mixer with vegetable spray pull out hand piece (suitable for mains pressure only). $518.96 plus GST installed. 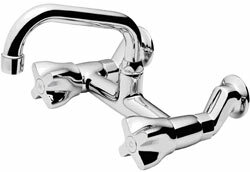 We recommend the Methven Centique Sink Mixer range for unequal pressure household systems and the Methven Echo range for mains pressure. Obviously the choices are huge, it all depends on the dollar value you’re after.